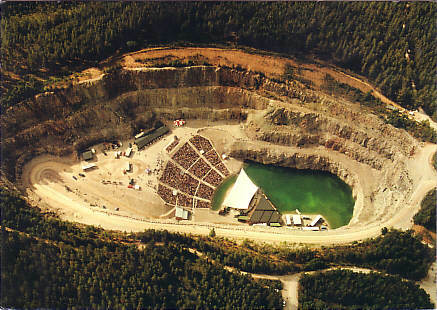 Open-air theatre, built in the 1990s by converting the former limestone quarry "Draggängarna" (in a landscape formed by a meteoric impact 360 million years ago). 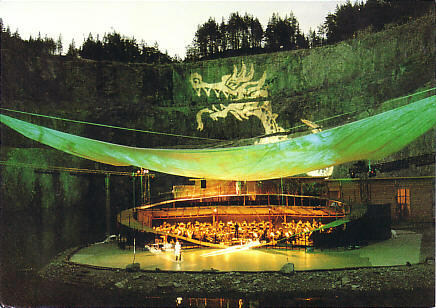 Used for an annual summer opera festival. 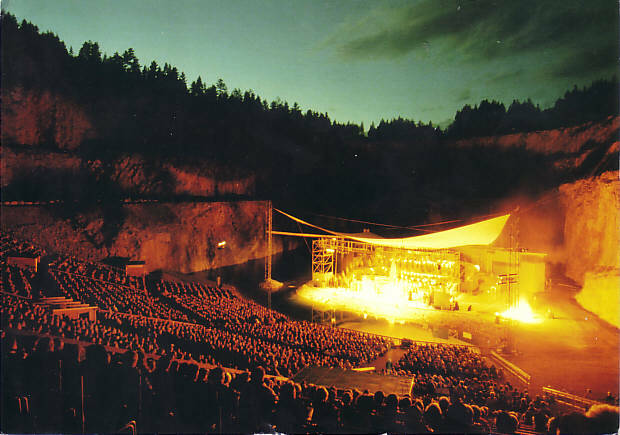 Reverse Text: "Festspelsarenan Dalhalla i Rättvik"
Picture: during a performance of an abdridged, one-evening version of Wagner's "Der Ring des Nibelungen"